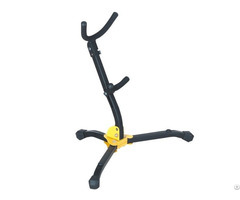 Height adjustable:35-62cm Cross bar length:40cm, base diameter:φ16cm, Product weight: 1.8kgs, Material: Cast iron. Hangzhou Grandix Electronics CO., LTD was founded in 2008, Hangzhou, China. 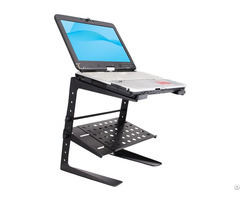 We are professional at manufacturing metal stands including AV-Device stand, laptop stand, and LCD screen stand, etc. In the musical stand category, our branches reach to tripod speaker stand, microphone stand, guitar stand, keyboard stand, and laptop DJ stand, etc. Grandix has various solutions of high quality stands for all clients. Our sales team knows well of any metal material’s price and quality, and we provide to our clients with the best value by shopping around, comparing different suppliers. In addition, we offer one-stop service: package design, OEM quotation, quality inspection, shipping, and transportation. We ship all the orders from Grandix expediently by full container, LCL, and door to door. We sincerely look forward to cooperate with you! Hangzhou Grandix Electronics CO.,LTD was founded in 2008, Hangzhou, China. 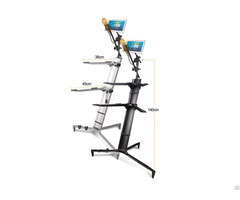 We are professional at manufacturing metal stands including AV-Device stand, laptop stand, and LCD screen stand, etc. In the musical stand category, our branches reach to tripod speaker stand, microphone stand, guitar stand, keyboard stand, and laptop DJ stand, etc. Grandix has various solutions of high quality stands for all clients. Our sales team knows well of any metal material’s price and quality, and we provide to our clients with the best value by shopping around, comparing different suppliers. In addition, we offer one-stop service: package design, OEM quotation, quality inspection, shipping, and transportation. We ship all the orders from Grandix expediently by full container, LCL, and door to door. We sincerely look forward to cooperate with you!